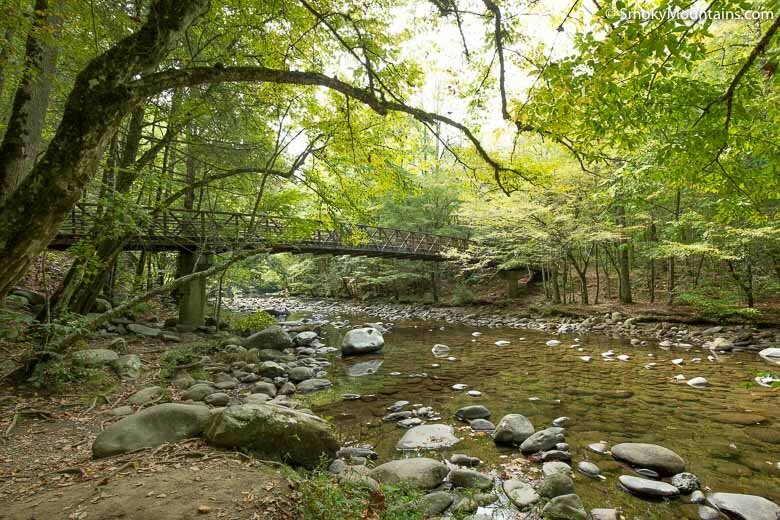 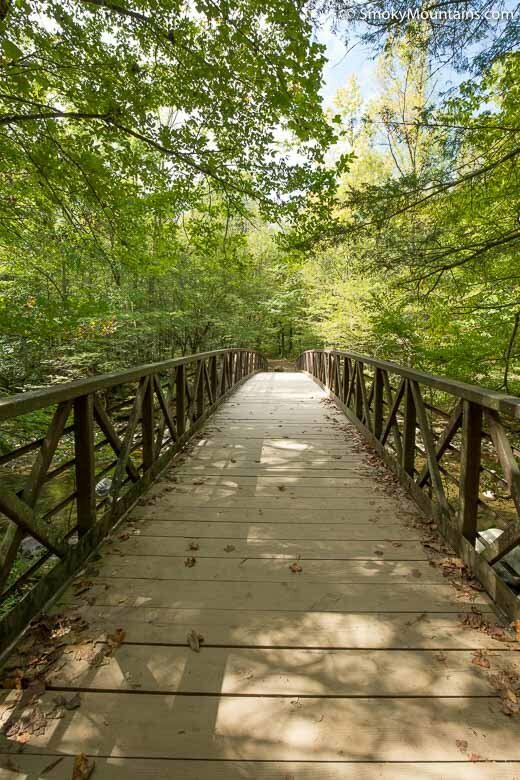 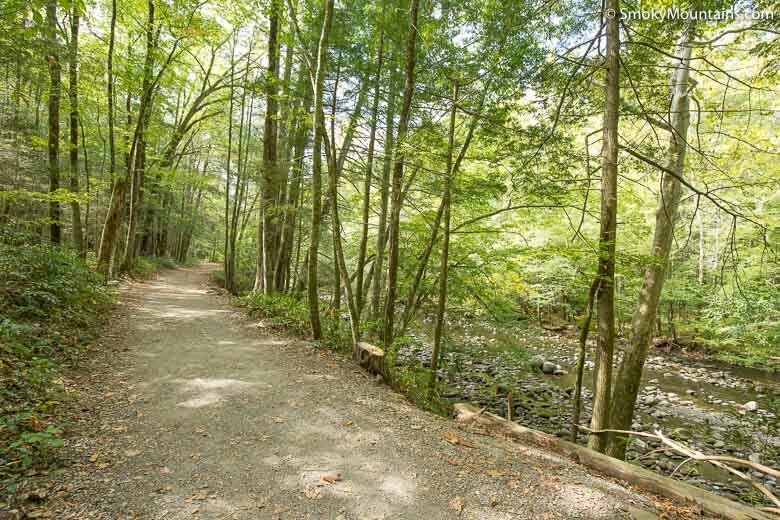 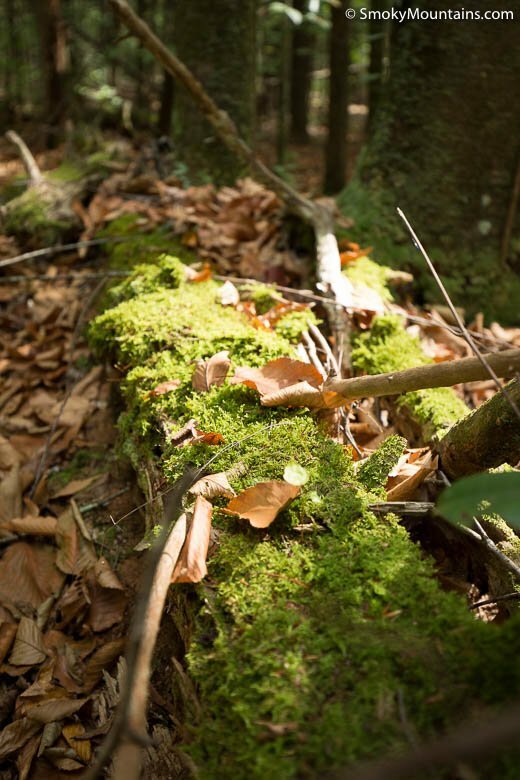 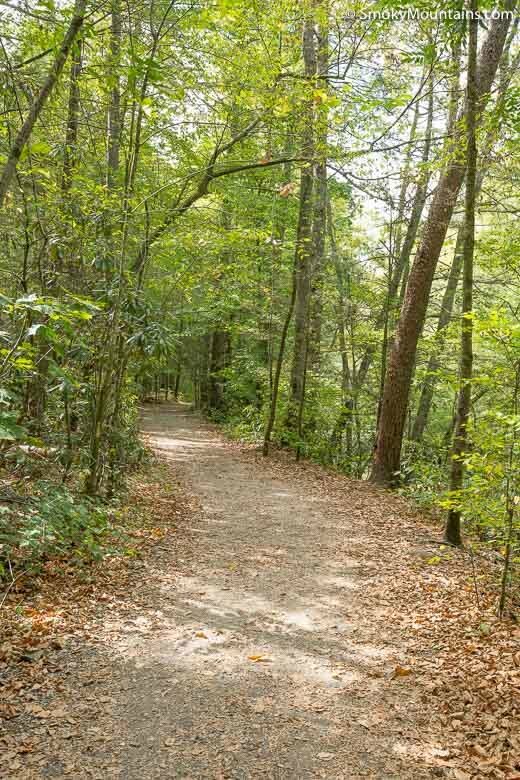 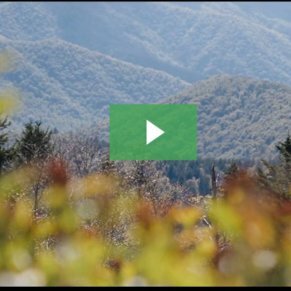 This 3.8 mile roundtrip riverside jaunt through the woods is right at Gatlinburg’s doorstep and the Gatlinburg Trail simply can’t be beat. 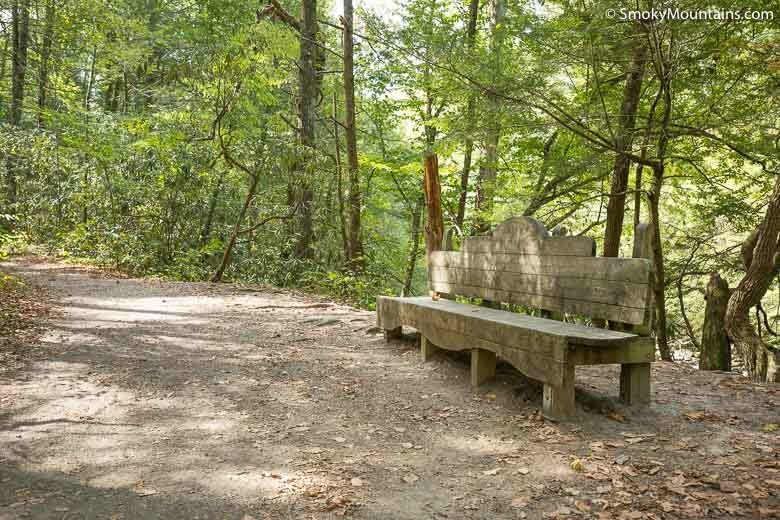 This ridiculously convenient trail makes a great choice for families, bicyclists, dog walkers, and joggers. 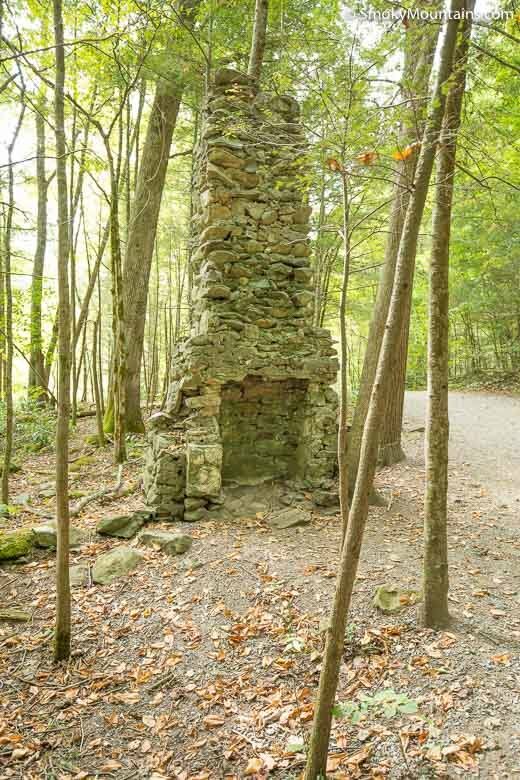 Furthermore, it heads right up to the park boundary to the outskirts of Gatlinburg, Tennessee. 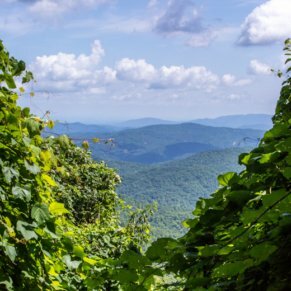 You can literally walk (or jog, or bike) out of town into America’s most-visited national park—or vice versa. 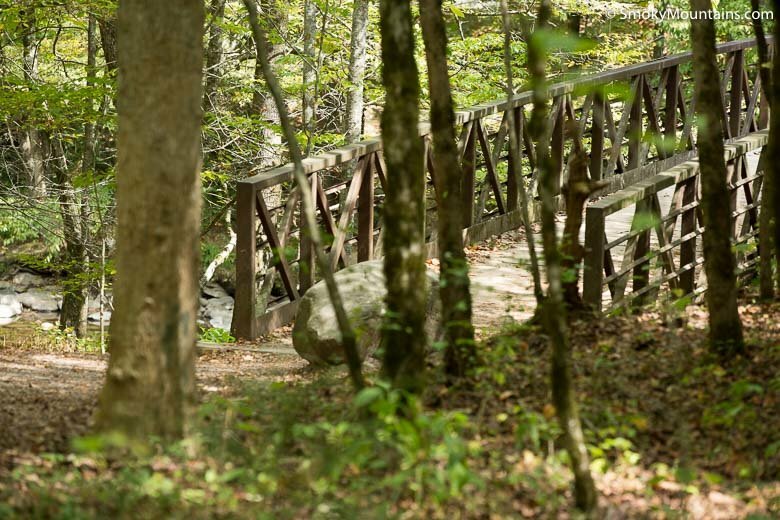 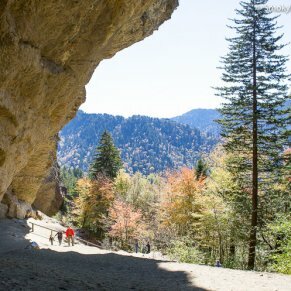 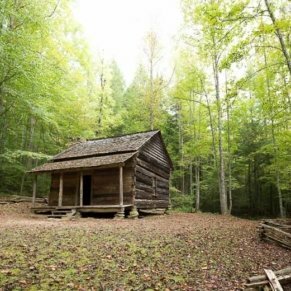 Given it links a busy park visitor center with a bustling town, and knowing it parallels Newfound Gap Road the whole way, don’t choose the Gatlinburg Trail for backcountry solitude and quiet. 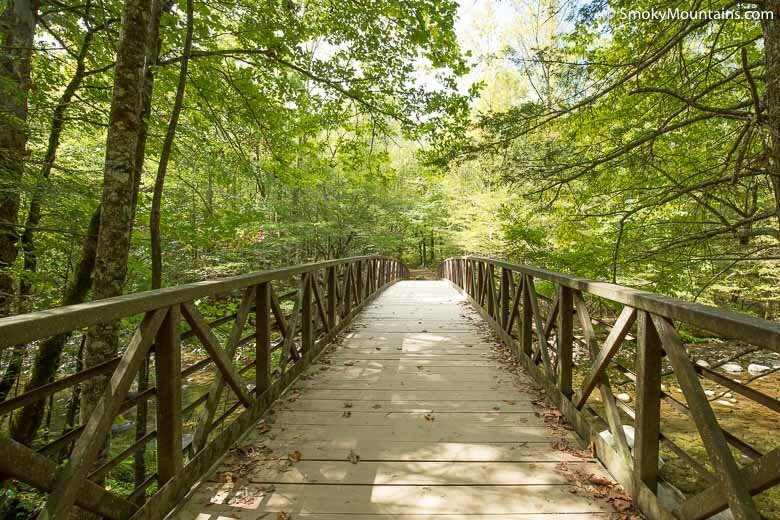 But for some fresh-air exercise, lovely river views, and convenient access—plus some historical sites along the way—it’s a great family-friendly option. 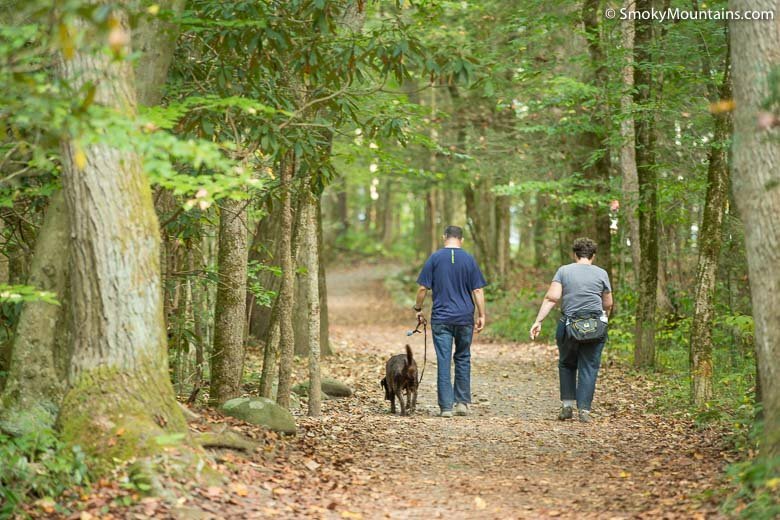 And, of course, if you want to take Fido for a hike or have a hankering for some cycling on your Smoky Mountain getaway, it’s one of your only options. 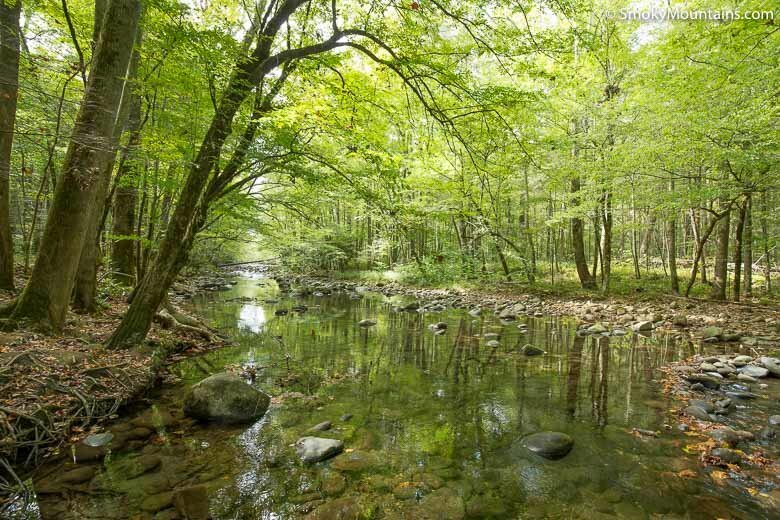 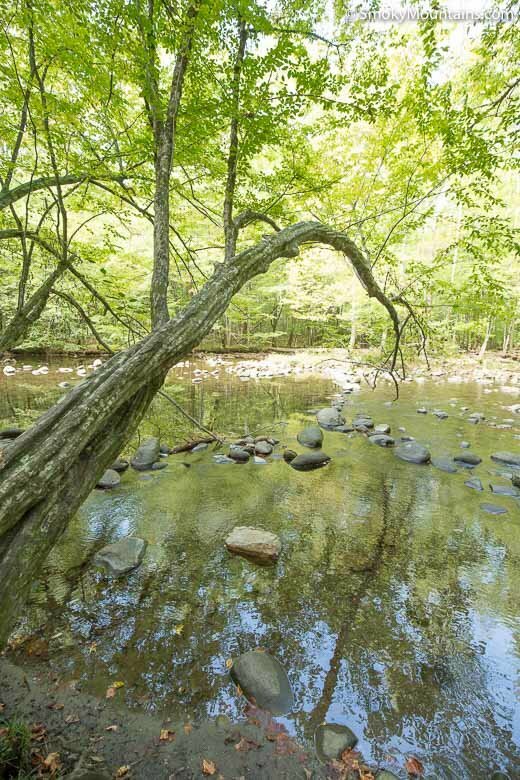 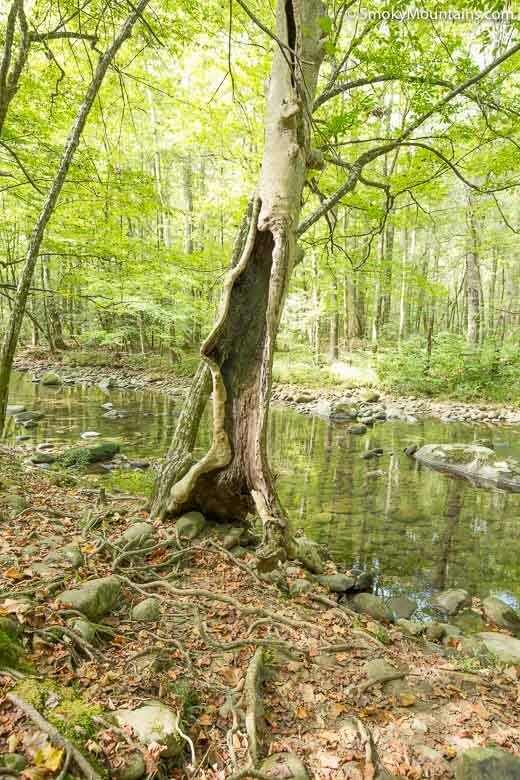 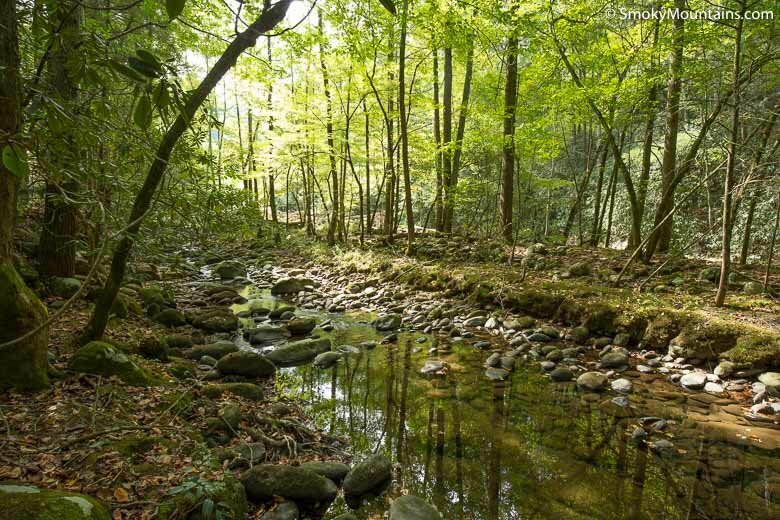 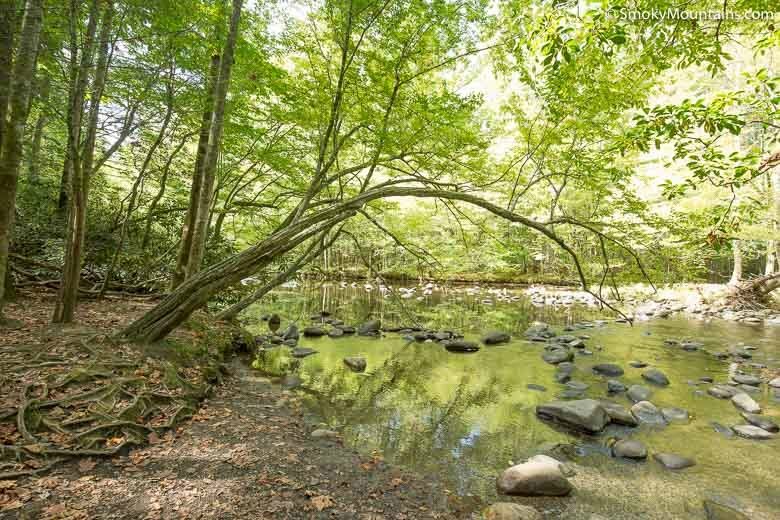 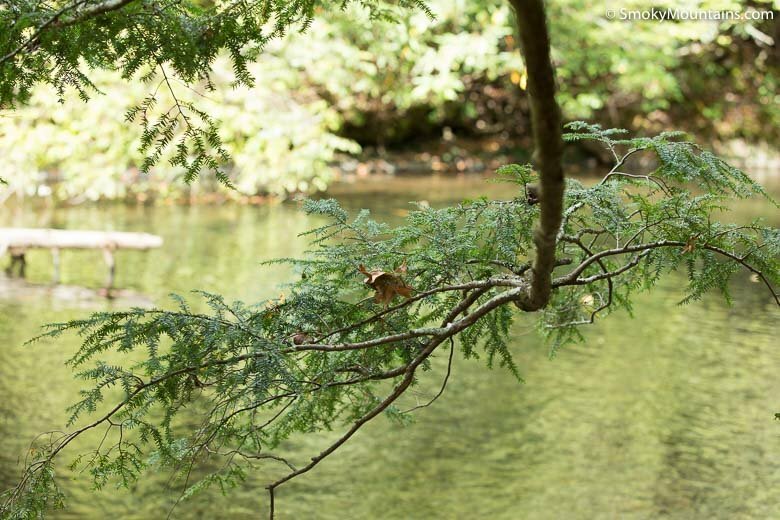 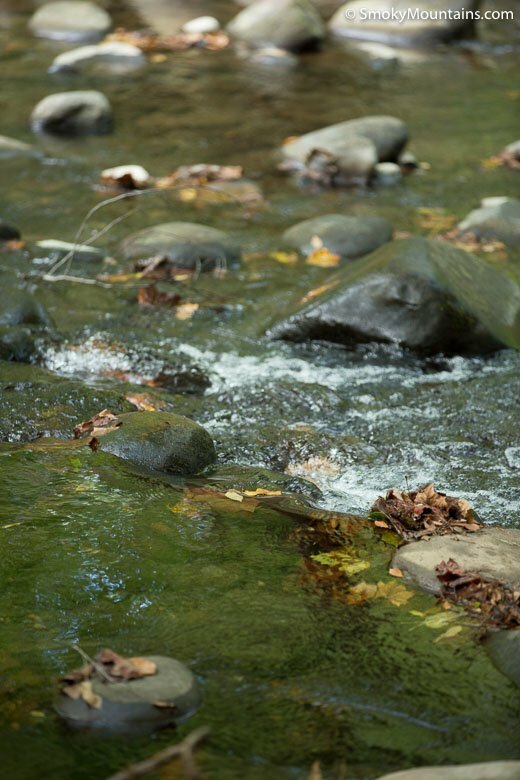 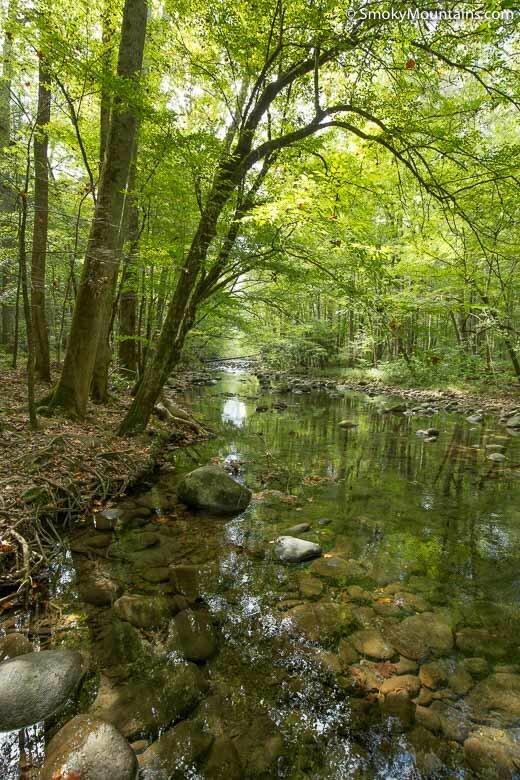 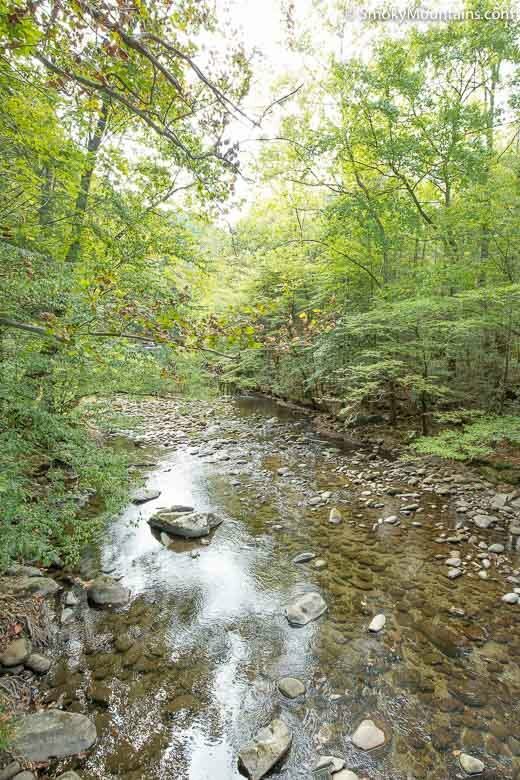 The Gatlinburg Trail is 3.8 miles round-trip, and as it hugs the West Prong of the Little Pigeon River it’s quite level. 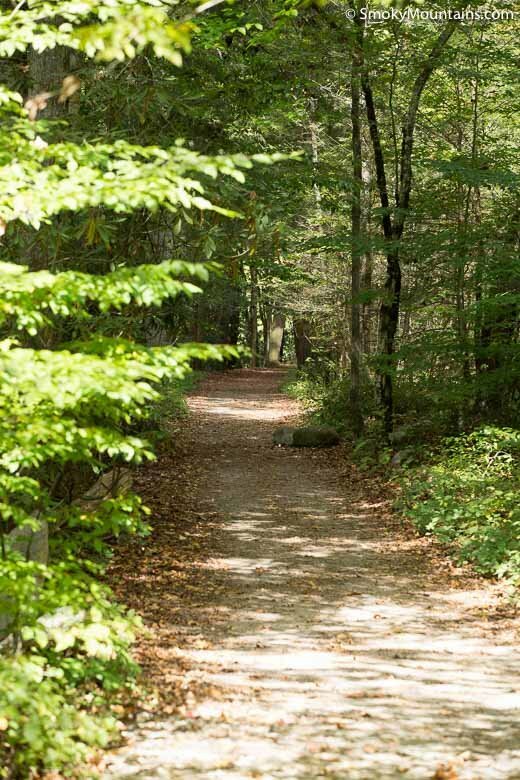 Give yourself a couple of hours for an out-and-back. 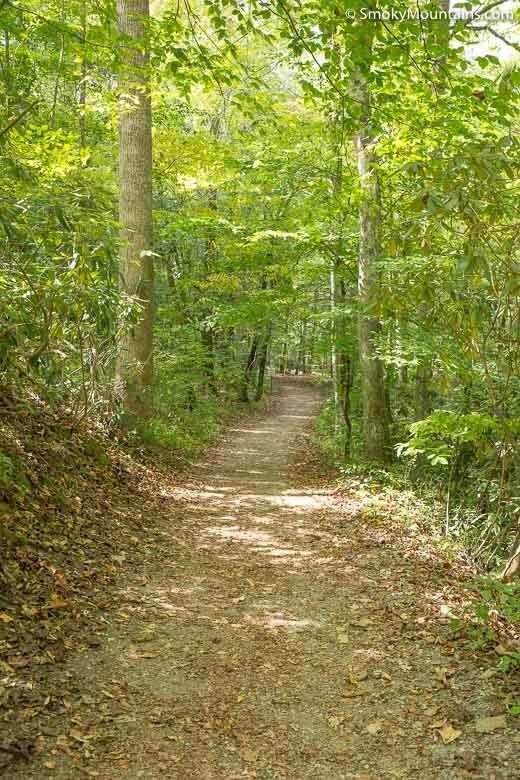 We’ll describe the Gatlinburg Trail from “park-to-town,” though of course you can take it from either starting point. 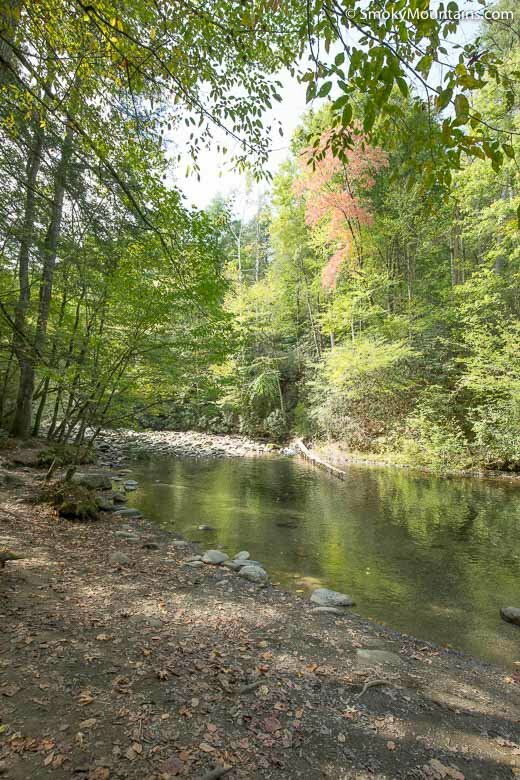 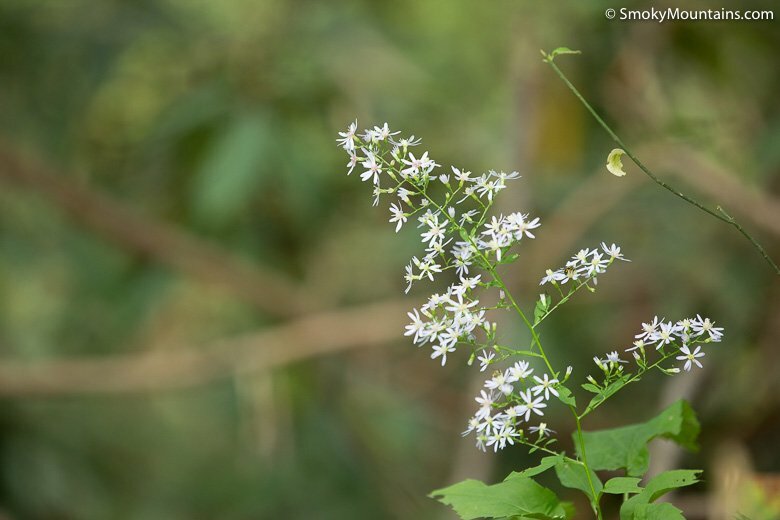 It begins in the maintenance yard near the Sugarlands Visitor Center and proceeds along the West Prong of the Little River through second-growth hardwoods and rhododendron thickets. 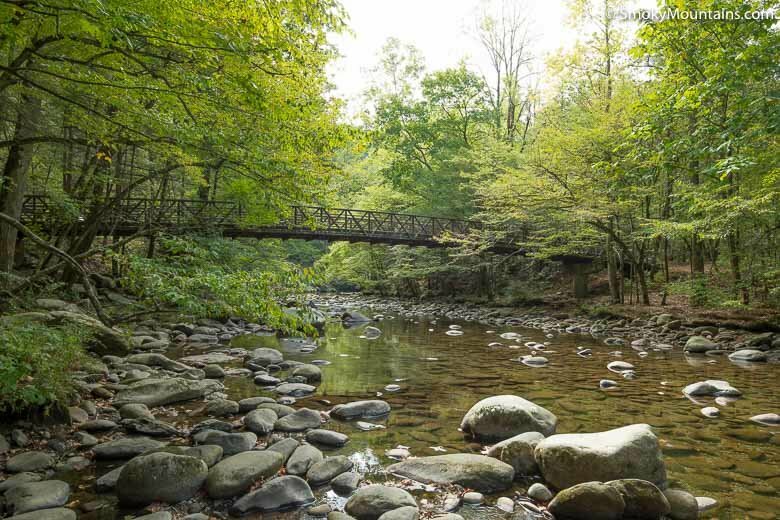 With its rapids and occasional cascades, the river makes a pleasant companion as you follow the well-graded gravel path. 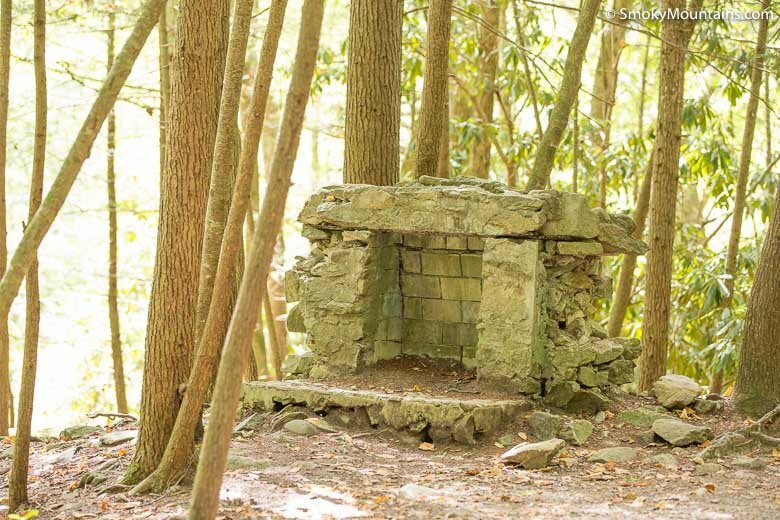 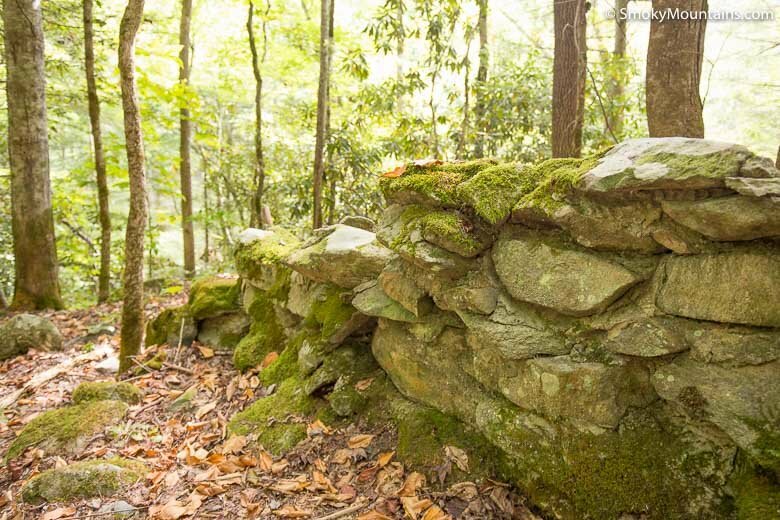 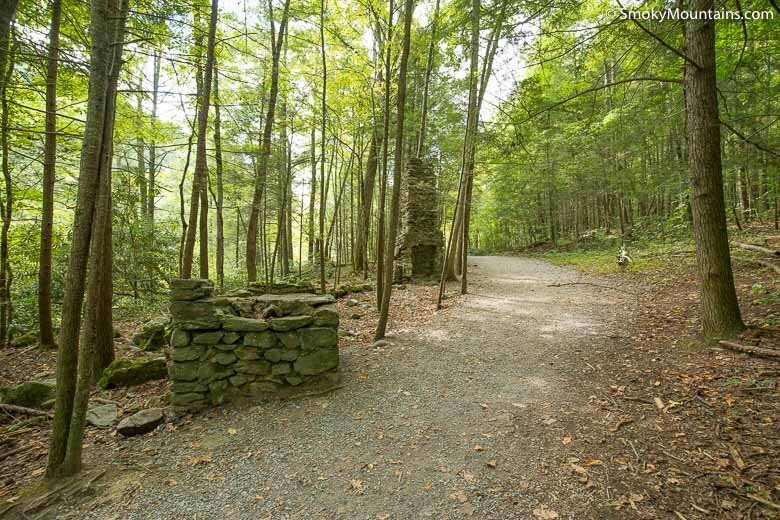 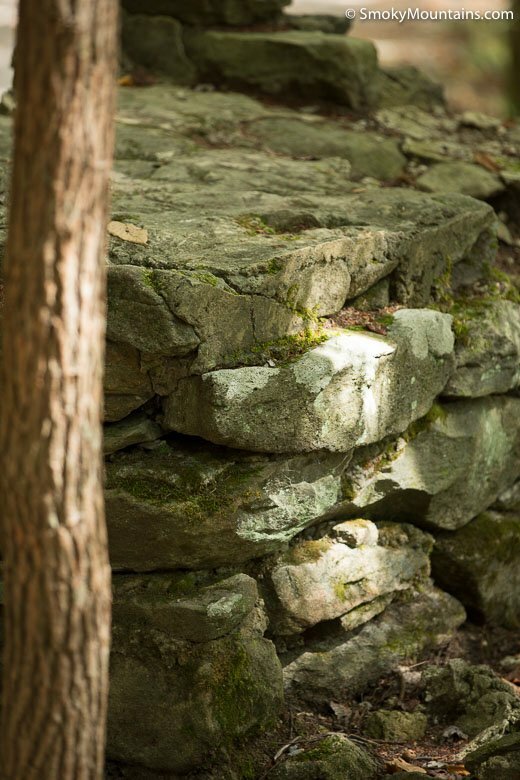 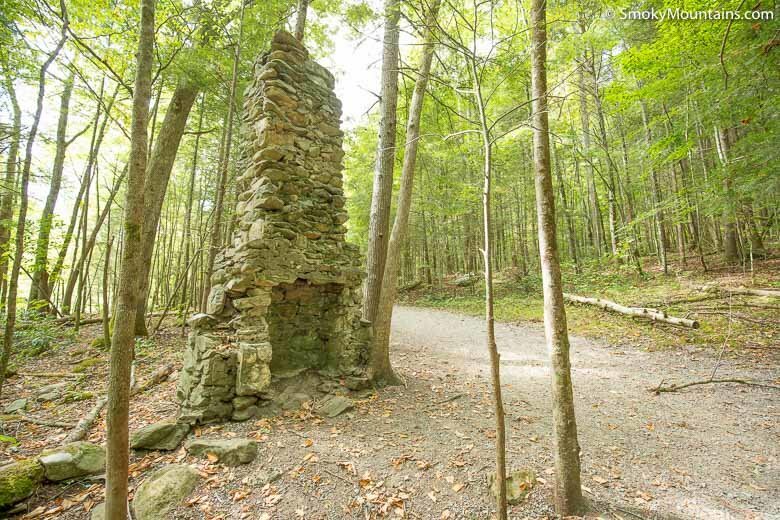 Keep an eye peeled for relics of old homesteading in these riverside woods: stonewalls, remnants of chimneys and foundations. 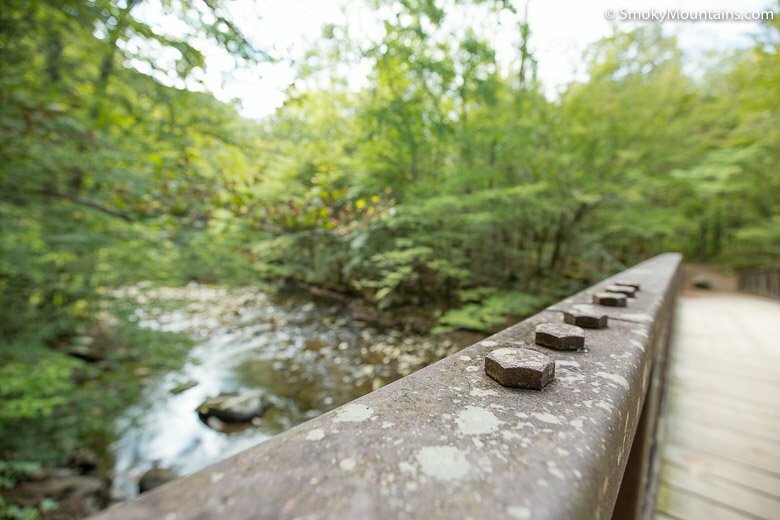 About a half-mile in, you’ll pass beneath the Gatlinburg Bypass. 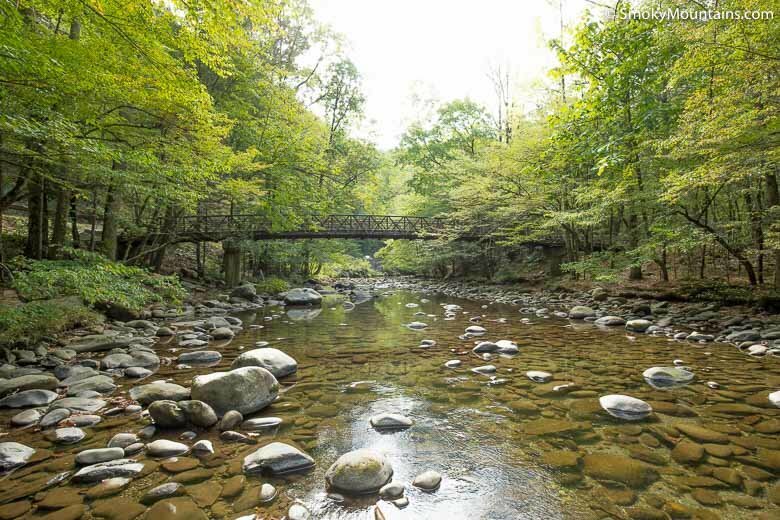 Not far past this reminder of your proximity to civilization, you’ll cross an attractive, sturdy footbridge over the West Prong: certainly one of the highlights of the route. 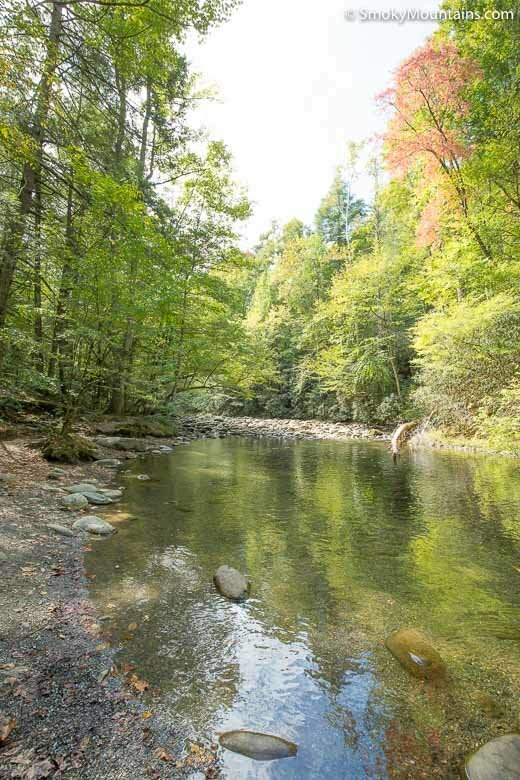 Near the bridge as well as at other points along the Gatlinburg Trail are easy access points to the river itself: much appreciated by children. 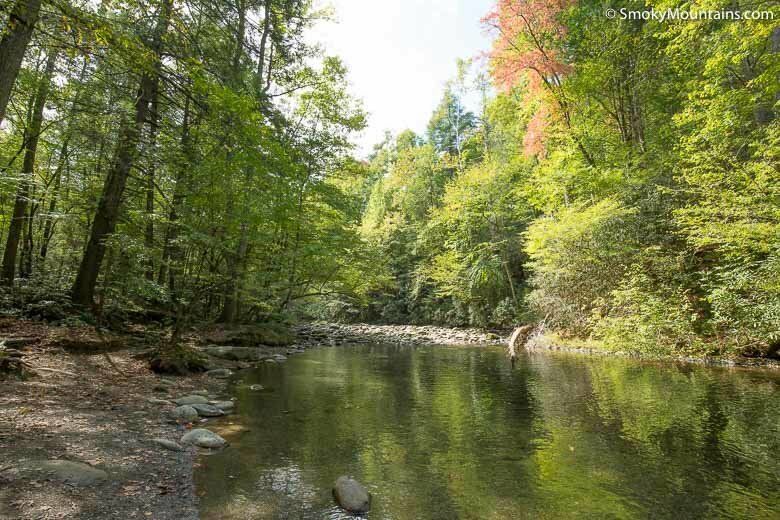 On the other side of the West Prong now, you’ll continue through the shady bankside forest, reaching the edge of Gatlinburg before you know it. 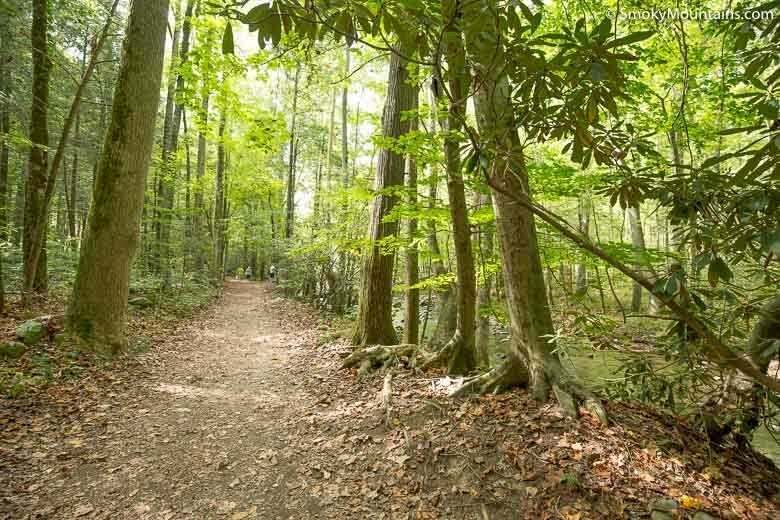 -Remember that, unlike on your average Great Smoky Mountains National Park hike, you’re sharing this trail with bicyclists. 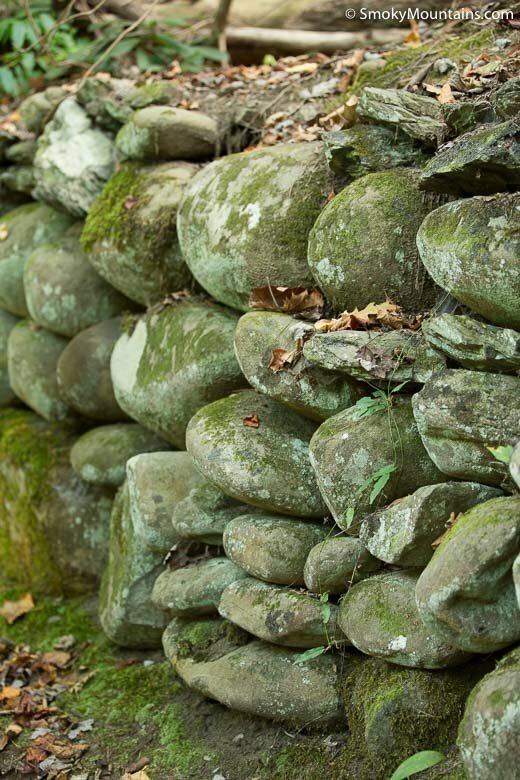 Be alert and courteous as you go along. 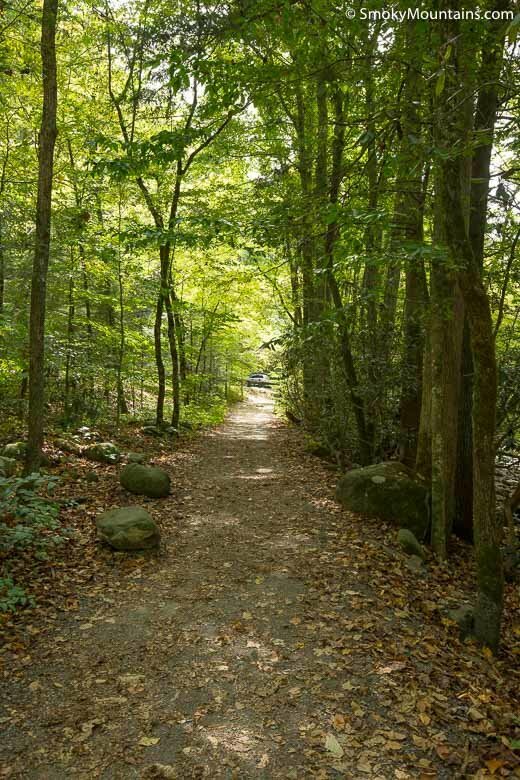 -If you don’t have a shuttle car waiting for you at the end of the trail, you’ll want to backtrack along the Gatlinburg Trail rather than walk Newfound Gap Road: too busy. 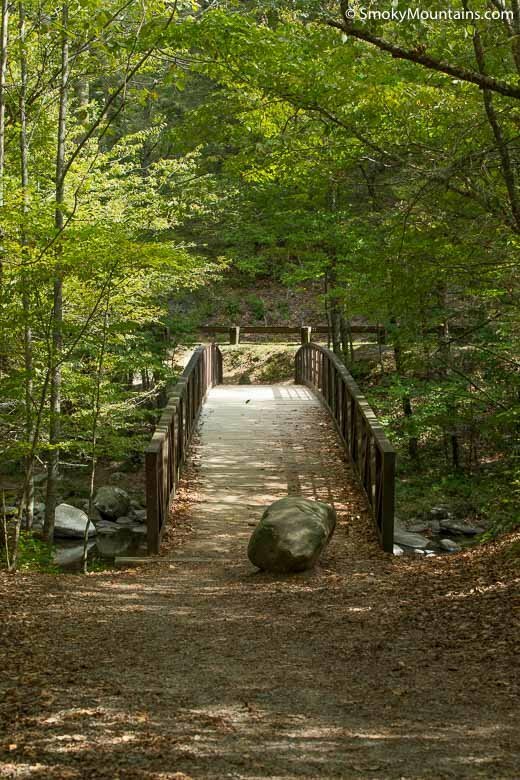 -Want to spice things up with a short detour? 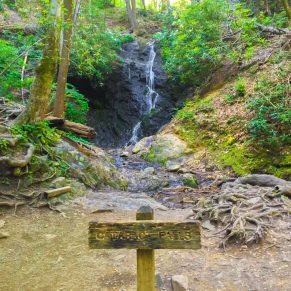 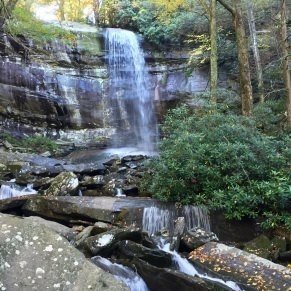 Take the quick Sugarlands walk to Cataract Falls (technically along the Cove Mountain Trail), an impressive tiered waterfall. 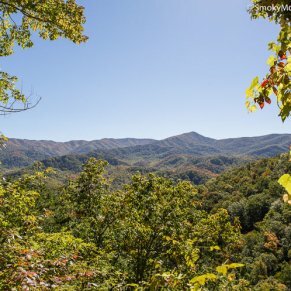 From Gatlinburg, drive into the Great Smoky Mountains National Park on the main Parkway. 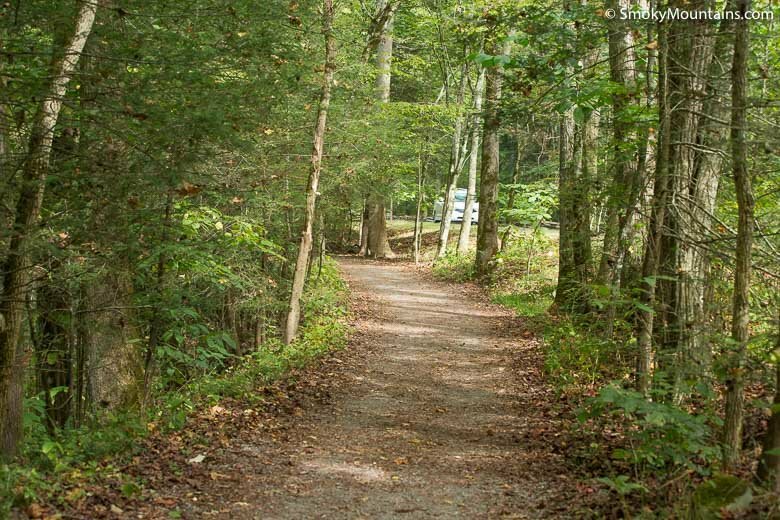 After entering the park, continue for approximately 1.8 miles to the Sugarlands Visitor Center on your right side. 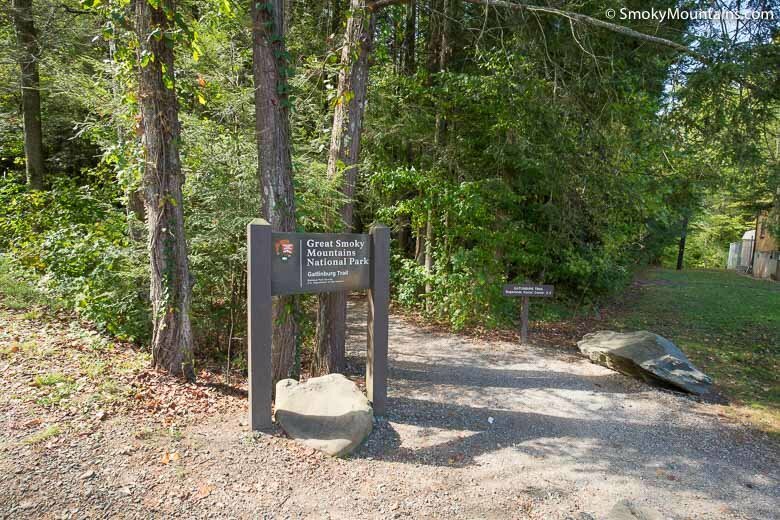 You will park at the visitor center and then walk behind where the main visitor center is to join up with the trail. 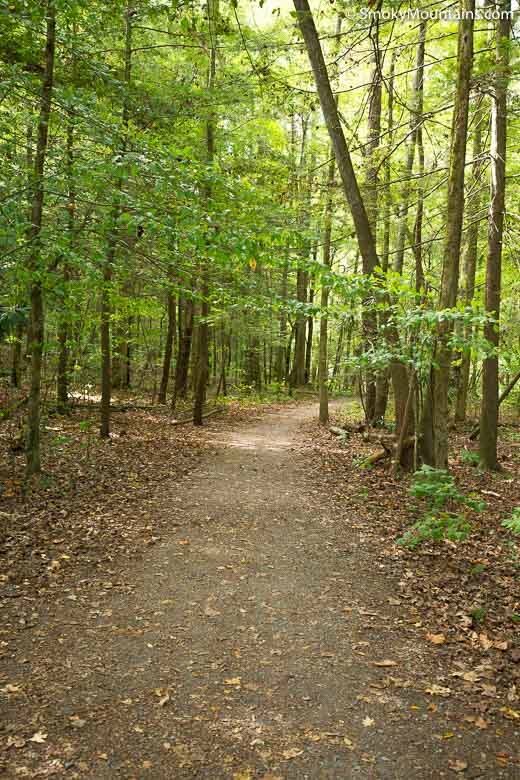 If you have difficulty locating the trailhead (can be tricky), ask a Ranger to point you to the trailhead.